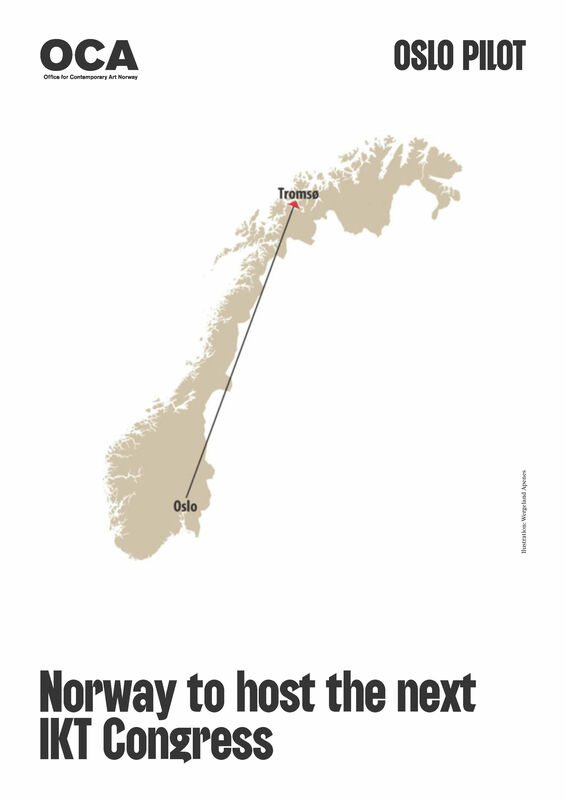 We are pleased to announce that OSLO PILOT and Office of Contemporary Art Norway, together with the North Consortium, are to host the next IKT Congress in Norway (Oslo and Tromsø) May 19th–23rd, 2017. The Congress will feature two symposiums in the host cities, curated by Katya García-Antón, Eva González-Sancho and Per Gunnar Eeg-Tverbakk in conjunction with North Consortium partners, and in coordination with the IKT board. Further information about this project will follow. The International Association of Curators of Contemporary Art (IKT) is a members’ organisation that brings together curators from across the world to meet, share knowledge, exchange ideas and extend their professional networks. IKT was founded in 1973 and its early members included groundbreaking curators such as Eberhard Roters, Eddy de Wilde and Harald Szeemann. The aim of the organisation is to stimulate and broaden debates about curatorial practices, and to promote curatorial excellence. Currently the board is made up of Ombretta Agrò- Andruff (Miami), Lars Grambye (Kopenhagen), Julia Draganovic (Osnabrück), Kati Kivinen (Helsinki), Emmanuel Lambion (Brussels), Katalin Timar (Budapest) and has its office with its President at Kunsthalle Osnabrück. The Office for Contemporary Art Norway (OCA) is a foundation created by the Norwegian Ministries of Culture and Foreign Affairs in 2001 to develop cultural collaborations between Norway and the international arts scene. Currently directed by Katya García-Antón, OCA curates exhibitions, seminars and publications; supports Norwegian artists’ and curators’ projects abroad, and invites international curators and artists to Norway for research purposes. Since 2001, OCA has been responsible for curating the Nordic Pavilion at the Venice Biennale. OSLO PILOT is a project investigating the role of art in and for the public realm. Combining newly produced artworks with collaborative partnerships with arts institutions, this experimental initiative has set out to lay the groundwork for a future periodic art event in the Norwegian capital. Curated by Eva González-Sancho and Per Gunnar Eeg-Tverbakk, OSLO PILOT’s working process is based on collaborations with artists, poets, curators, writers, and other specialists in diverse fields, to explore new ways of working in the public realm and to create a critical framework and a long-term strategy for future production. OSLO PILOT has been initiated by the Agency for Cultural Affairs in the City of Oslo, the owner of the project. The North Consortium is a newly established group of art institutions from Northern Norway, coming together for the first time especially for the IKT Congress.